EXCLUSIVE: David Sánchez has his hands pretty full. When we pressed him for details of the latest Bottpower project, we had to wait for his racing season to finish. He’s an experienced race engineer, and that means doing time on the Superbike European Championship. But when he’s not travelling from circuit to circuit, he heads up one of Europe’s most advanced custom shops. 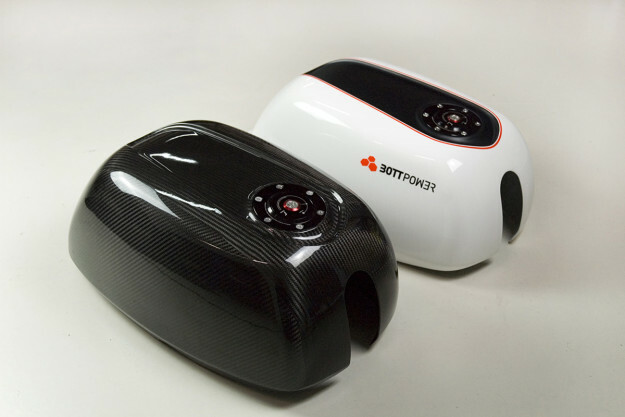 This breath of fresh air is the BOTT XC1. 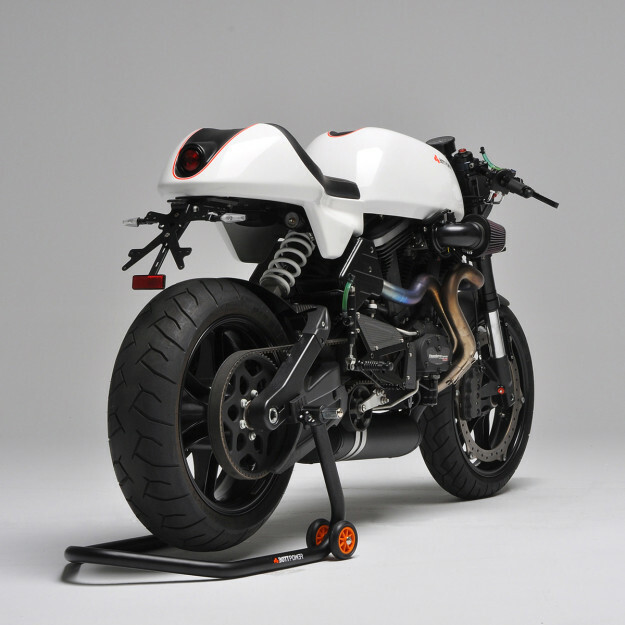 Like the Spanish outfit’s previous hit, the XR1, it’s a radical re-imagining of the Buell XB-series. 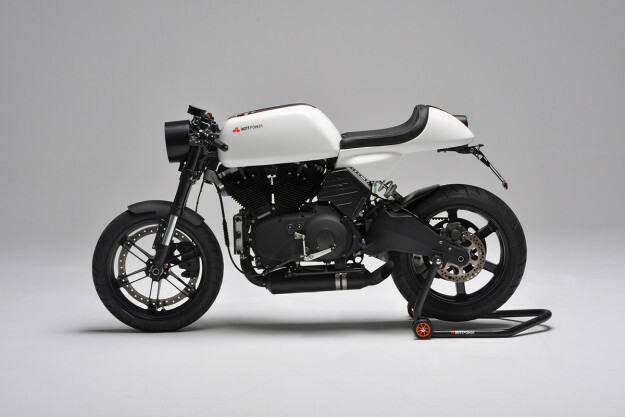 Why pick the Buell over a more classic choice? 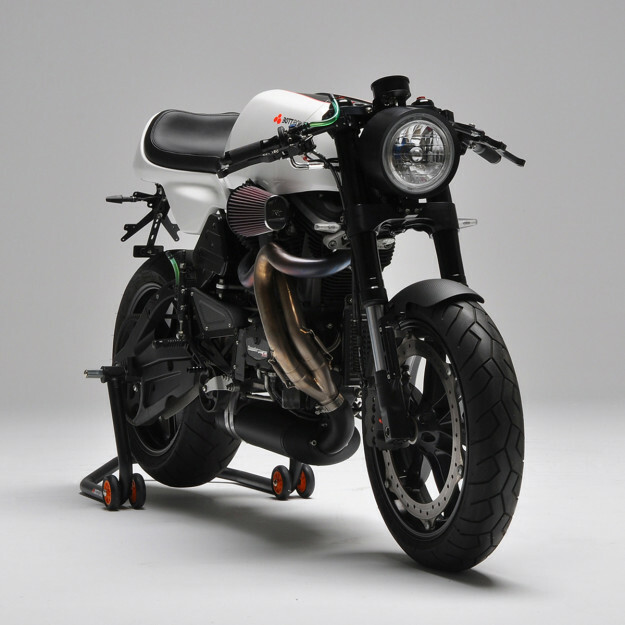 “I try to apply my racing experience to the bikes we create at Bottpower,” says David. 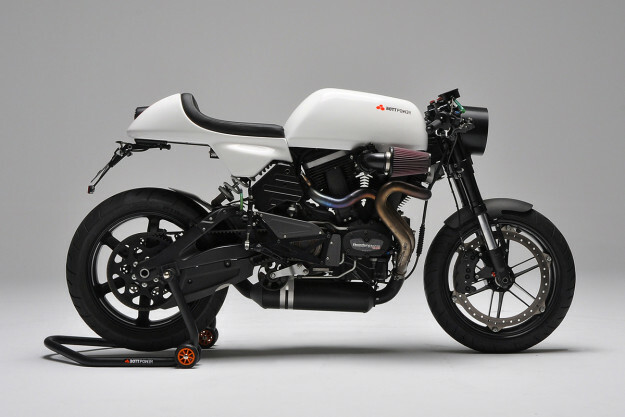 Anyone familiar with the XB will immediately note the absence of the Buell’s most dominant feature: the twin spar, fuel-carrying frame. 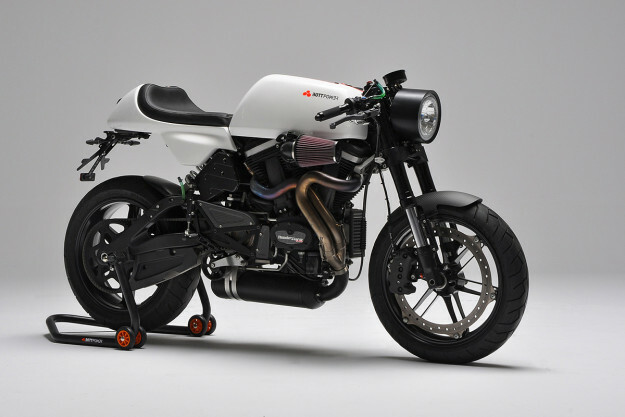 Instead, the bike now straddles a line somewhere between classic and futuristic. Of course, Sánchez and his crew will also happily build one for you. The images show the first XC1 unit to roll off the bench, and it’s already been shipped to its new owner in Belgium. 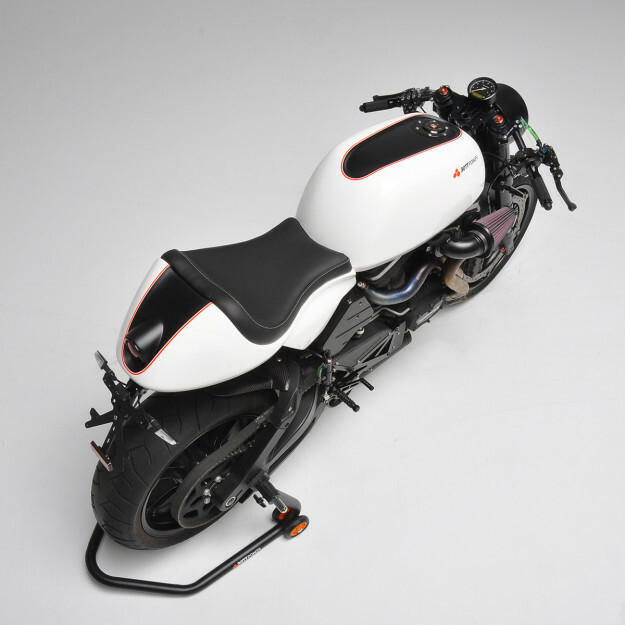 The base model here is a 2008 Buell XB12SS, retaining its wheels, suspension, swingarm and brakes. Since the twin spar frame is now gone, everything hangs off a steel backbone that uses the engine as a stressed member. (There’s a titanium option too, naturally). With the original frame gone, the fuel’s now kept in a primary fuel tank (up top), and two auxiliary tanks (lower down), one of which houses the fuel pump. 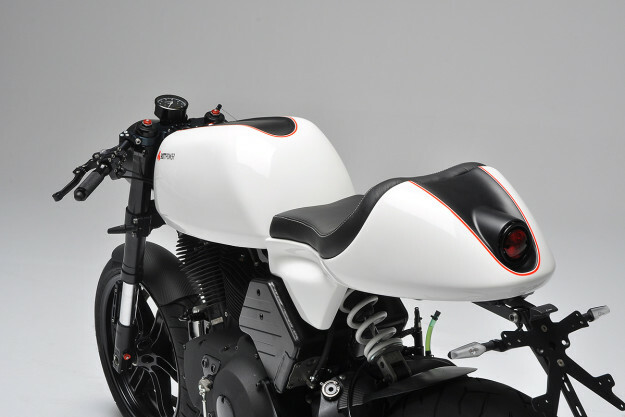 Dutch industrial designer Hugo van Waaijen designed the tank and seat, poring over CAD renderings until the lines were just perfect—right down to how light would bounce off the various contours. From those renderings, molds were milled and the final parts produced in carbon fiber. 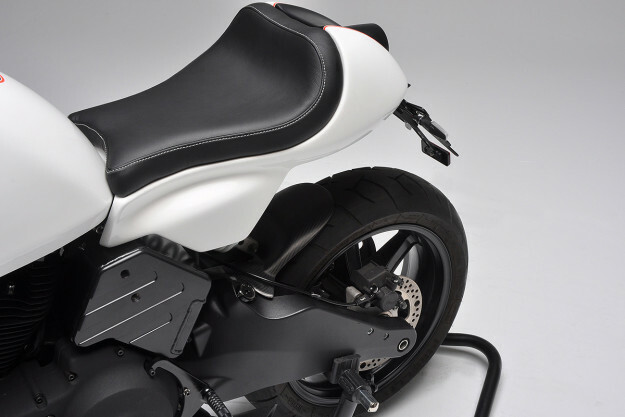 The seat sits on a bolt-on steel subframe that also hides a Lithium-ion battery. 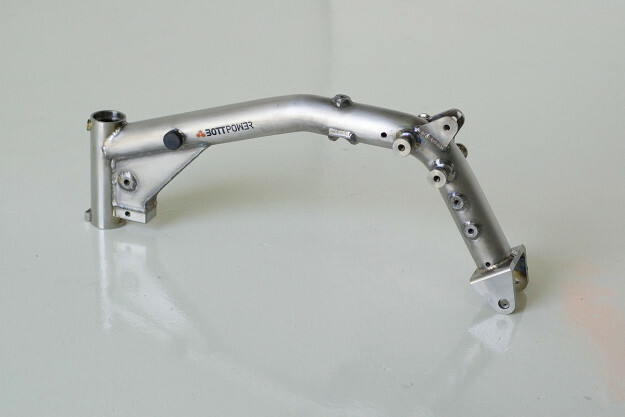 The front fender, headlight, integrated taillight, foot pegs and triple clamps are also Bottpower parts. 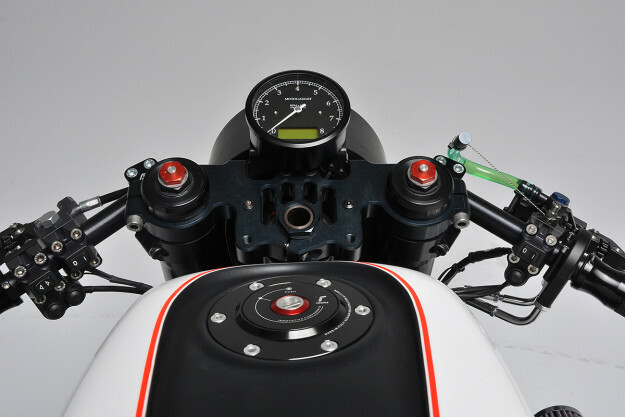 Other finishing kit includes an ISR master cylinder, levers and switches, Ducabike clip-ons, and a sprinkling of Rizoma bits. Another major workaround is the positioning of the air intake. 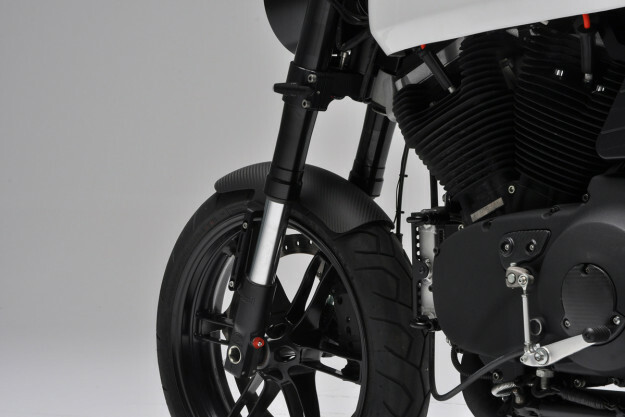 The stock intake sits in the way of the new frame, so Bottpower have rotated the throttle body and fitted a side-mounted intake with a K&N filter. This setup—along with a set of titanium headers, a Torque Hammer silencer and remap of the ECU—has squeezed another 10HP out of the Buell. It’s now pushing 95HP to the back wheel, in a package that weighs 20kg less than stock. 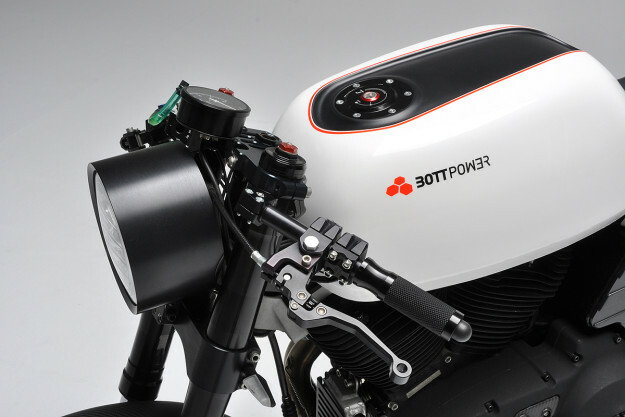 If that’s not enough for you, Bottpower are currently working on a customer XC1 with a 1250cc kit, ported heads, switchable engine maps and carbon fiber race wheels. Now, could someone please send us a blank check, and let us loose in the Bottpower online store?